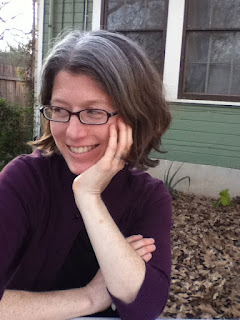 Julia Bloch grew up in Northern California and Sydney, Australia, earned an MFA at Mills College and a PhD at University of Pennsylvania, and is the author of Letters to Kelly Clarkson (published by Sidebrow Books in April 2012). She is the recipient of the San Francisco Foundation’s Joseph Henry Jackson Literary Award and the William Carlos Williams Prize for Poetry, is an editor of Jacket2, and recently moved to Los Angeles to teach literature in the Bard College MAT program. Frank Montesonti is the author of Blight, Blight, Blight, Ray of Hope (Barrow Street Press), winner of the 2012 Barrow Street book contest, and the chapbook A Civic Pageant (Black Lawrence Press, 2009). He has been published in literary journals such as Tin House, Black Warrior Review, AQR, Poet Lore, and Poems and Plays, among many others. He has an MFA from the University of Arizona and teaches poetry at National University. A longtime resident of Indiana, he now lives in Los Angeles, California. Brave Frontier Hack and cheats tool .grab them online from here. The idea of getting an MBA degree online has gained popularity in the United States and with the non-fake degrees earned online the increasing need of qualified and competent business experts in the United States of America (USA) have been to some extent been controlled and now the United States job market is delivering good and qualified professionals due to the online MBA programs. Your blog provided us with valuable information to work with.